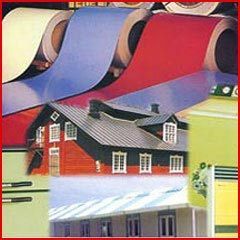 We are a renowned manufacturer and exporter offering an exclusive range of printed labels and tags. Our finely designed, technologically created and high quality promotional products are highly applauded in the worldwide markets. 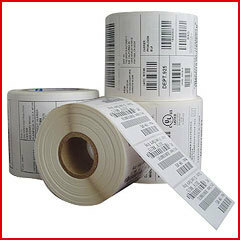 The barcode labels manufactured by us are used by our clients for labeling and publicity of own products. A special code in the form of parallel lines is printed on these labels. These codes are machine-readable and store product specific information which can be retrieved at the time of sale. We strictly manufacture these labels from high quality and durable raw materials and according to the client's specifications. We specialize in manufacturing custom printed pharmaceutical labels that are offered widely to our clients in pharmaceutical industries. 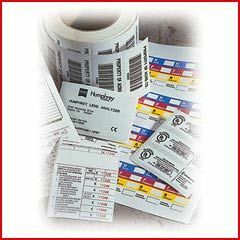 We print a large variety of labels for this industry ranging from over-the-counter medicine labels, vitamin labels and prescription medicine labels. While offering these labels to our clients we make sure that all these labels are accurately designed and quality tested. According to the FDA standards, we ensure that these labels are built with pharmaceutical grade adhesives to make them stick longer, can be read easily used even in the situations of distribution, storage and use. Through our advanced printing machinery and support of our adept manpower, we are able to turn out a range of industrial labels for our clients related to various industries. The industrial labels provided by us are made from high quality paper, ink and latest printing techniques to ensure client satisfaction. These labels are meant for building an image and increasing the marketability of our clients' industrial products in the market. The range of self-adhesive filmic labels we offer to our global clients are manufactured by us through advanced flexo printing machines. We offer these labels to our clients in various industries for promotional purposes. These labels are printed on the thin films of plastic through high quality printing ink. We print these labels according to the specific requirements of our clientèle and supply them to various industries worldwide. The high quality synthetic labels showcased by us in the world markets are a blend of high quality raw materials and advanced printing machinery. These labels are made from synthetic materials like polyolefin films and are printed as per the specifications provided by our clients. We offer these in various sizes, shapes and colors. We make these labels according to the customization requirements of our valued clientèle. 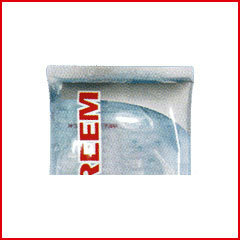 We also manufacture a large variety of labels that can be stuck on various cosmetic products. 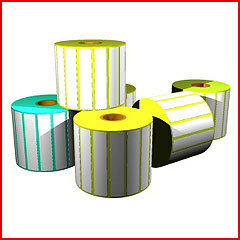 Made from high quality materials and printing ink, these labels possess information related to that particular product. These labels are custom built by us keeping in view the specifications of our clientèle. We offer these labels to our various respected clients in the National and International markets. The self embossing tags & labels, we manufacture and supply to our industrial clients around the world often possess the product related information in an embossed form. 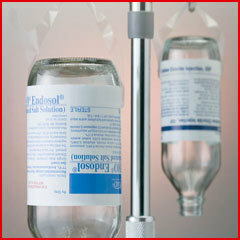 These labels and tags are made from finest quality of raw materials like paper, synthetic film or metal foil. The information is embossed on them through cold foil stamping process. We make these labels according to the requirements and specifications of our clientèle. 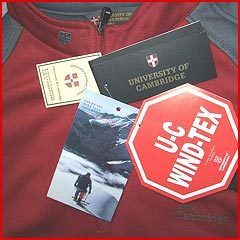 We present a large range of high quality garment tags. Our specialized range of tags are offered to various garment industries are elegantly designed and made from high grade materials. 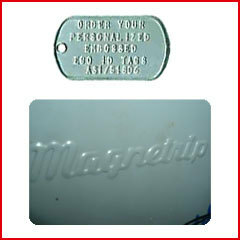 These tags are printed with superior quality printing ink and their design, shape and color etc. can be customized according to the demands of our clients. These tags bear the specific garment related information like size of garment, color and price etc. Often a string is attached with these tags to hang them from various kind of clothes. Dynamic Labels and Packaging excels in manufacturing a range of printed material for the airline industries comprising of airline tickets & baggage tags. 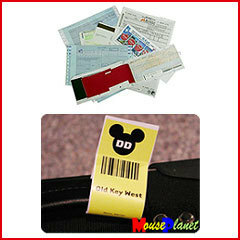 These tickets and baggage tags are made from glossy paper and finest quality of printing ink. We precisely print these according to the specifications of our clients related to their content. We offer these to many airline industries and are widely utilized while travelling through airplanes. At Dynamic Labels and Packaging, we also manufacture and print a wide range of lami tubes. 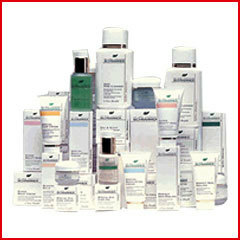 These tubes are plastic squeezable tubes that are offered for various products like creams, liquids, gels etc. We manufacture these from high quality plastic materials and the product related information is directly printed on these tubes through advanced printing techniques. We manufacture and print these tubes according to the requirements of our esteemed clientèle.